I went to Japan in early October. I was supposed to visit Hokkaido but a typhoon hit there. I was in Aomori but I gave up on visiting Hokkaido. I had some extra time in Aomori and spent this time to visit Seikan Train Ferry museum. JR East Pass Tohoku. Flex 5 days pass in 14 days period to cover Tokyo, surrounding area of Tokyo and Tohoku region. Posted on March 18, 2016 Categories Rail pass for visitorsTags Akita, Atami, Gala Yuzawa, Haneda (HND), Izu, JR East Pass, Kamakura, Katsuta, Morioka, Narita (NRT), Nikko, Odawara, Otsuki, Sendai, Tokyo, aomori, tohoku, yokohama95 Comments on JR East Pass Tohoku. Flex 5 days pass in 14 days period to cover Tokyo, surrounding area of Tokyo and Tohoku region. JR East has decided to divide JR East into two regional passes, JR East Pass Niigata and Nagano, and JR East Pass Tohoku. Current JR East pass will be discontinued in the end of March and these two JR East passes will be on sale. In this post, I would like to explain one of these passes, JR East Pass Tohoku in this post. Continue reading JR East Pass Tohoku. Flex 5 days pass in 14 days period to cover Tokyo, surrounding area of Tokyo and Tohoku region. Hokkaido Shinkansen will be opened on March 26, 2016 between Shin-Aomori and Shin-Hakodate-Hokuto. This will be the newest Shinkansen (Bullet Train) line technically. However this line is connected with Tohoku Shinkansen at Shin-Aomori. Many of trains run through Tohoku Shinkansen to Shin-Hakodate-Hokuto from Tokyo. You will be able to get Hokkaido from Tokyo directly by this Shinkansen train. However Hokkaido Shinkansen will be partial open. You can get southern Hokkaido only. You still need to transfer to get most of Hokkaido. such as Sapporo. And also Shin-Hakodate-Hokuto station is not located in downtown of Hakodate. You need to transfer to get Hakodate. I mentioned many negative things at the beginning. But it will be much more convenient and faster than current trains. 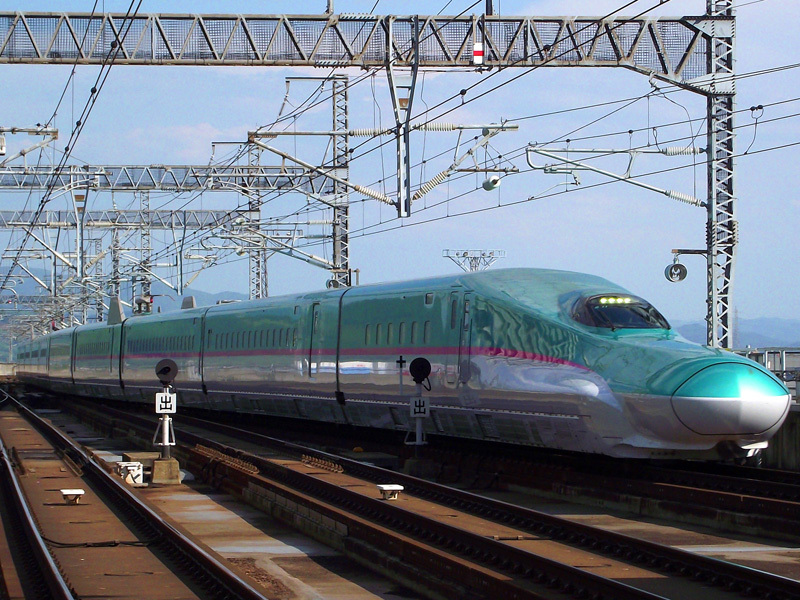 There are a few things that you need to know before taking Hokkaido Shinkansen. I would like to show you the detail of Hokkaido Shinkansen and will also give you some tips to use this Shinkansen line in this post. JR Group has announced that Hokkaido Shinkansen is fully covered by Japan Rail Pass, a.k.a. JR pass. Tohoku and Joetsu Shinkansen image gallery. Check the interior and accommodations. Posted on May 6, 2014 August 18, 2014 Categories Tohoku, Hokkaido,Akita and Yamagata, Joetsu, Nagano and Hokuriku, Aomori, Shin-Aomori, Hirosaki, Akita, Morioka, Hiraizumi, Nagano, Matsumoto, Hakuba, Mimami-Otari, Iida, Kobuchizawa, Komoro, Niigata, Nagaoka, Echigo-YuzawaTags Hayate, Max, Morioka, Nasuno, Sendai, Tanigawa, Toki, Yamabiko, aomori, niigataLeave a comment on Tohoku and Joetsu Shinkansen image gallery. Check the interior and accommodations. 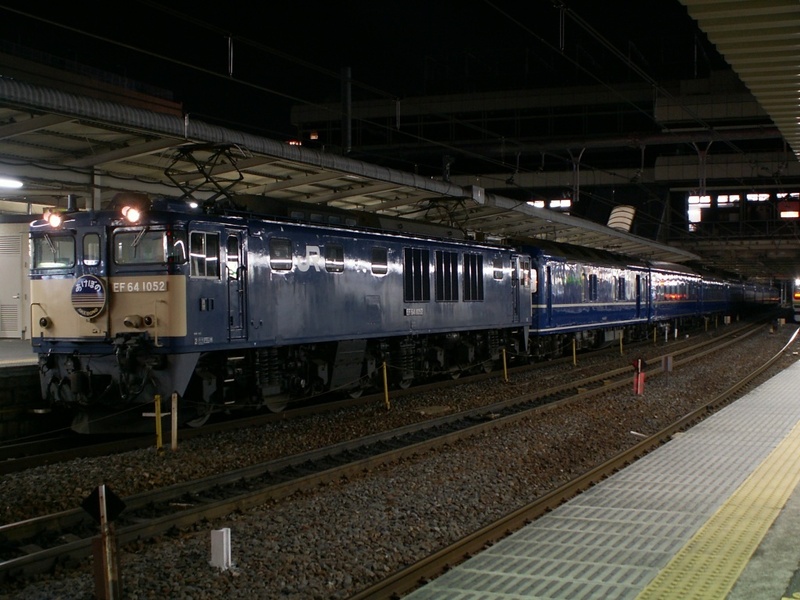 E2 series (left) and original fleet 200 series (right). All 200 series were retired already. Tohoku Shinkansen and Joetsu Shinkansen share the track between Tokyo and Omiya. So some types of trains are used on both Tohoku and Joetsu. I show you several types of trains that are used on Tohoku or Joetsu Shinkansen. If you are looking for the general information about these Shinkansens, please read Tohoku Shinkansen or Joetsu Shinkansen. this post, Gran class and all class seat of Tohoku Shinkansen E5 series and Gran class for Hayabusa, Hayate and Yamabiko image gallery. Continue reading Tohoku and Joetsu Shinkansen image gallery. Check the interior and accommodations. JR East Pass. Flex 5 days unlimited travel within 14 days in Eastern Japan. Posted on December 29, 2013 March 19, 2016 Categories Rail pass for visitorsTags Echigo Tokimeki Railway, Fuji kyuko, Hokuetsu kyuko, Hokuriku Shinkansen, Izu, JR East, Joetsu-Myoko, Kinugawa onsen, Matsumoto, Naoetsu, Nikko, Odawara, Sendai, Takayama, Tobu, aomori, fuji, nagano, shinjuku, tohoku68 Comments on JR East Pass. Flex 5 days unlimited travel within 14 days in Eastern Japan. This pass covers eastern part of Honshu island (main island) in Japan, such as Tohoku region, surrounding Tokyo, Mt. Fuji, Izu peninsula and most part of Nagano. You can take any trains in the coverage area with a few exception. If you will be a temporary visitor, you are eligible to purchase this deal. The biggest difference from any other JR Passes is valid periods. You don’t need to use this pass in consecutive days. You can pick any 5 days within 14 days. Let’s see the details about this pass. I also compare with other passes, such as JR Pass and Kanto Area Pass. Continue reading JR East Pass. Flex 5 days unlimited travel within 14 days in Eastern Japan. Hakodate station guide. How to change the train, Super Hakucho, Super Hokuto and other local trains. Posted on June 30, 2012 April 25, 2016 Categories Hokkaido Area, Station informationTags Esashi line, Hakodate, Hakodate line, Shin Aomori, aomori, seikan tunnel11 Comments on Hakodate station guide. How to change the train, Super Hakucho, Super Hokuto and other local trains. On March 26, 2016, Hokkaido Shinkansen was opened and Shin-Hakodate-Hokuto station was opened. Hakodate is not transfer point to get Aomori any more. You may get Aomori, Morioka, Sendai and Tokyo by Hokkaido Shinkansen from Shin-Hakodate-Hokuto. It takes about 20 minutes between Shin-Hakodate-Hokuto and Hakodate. I wrote about Shin-Aomori station on the previous post. Most of travellers who go to Hokkaido get on Tohoku Shinkansen from Tokyo to Shin-Aomori, and then Limited Express Super Hakucho from Shin-Aomori to Hakodate. Now it is time to transfer to Limited Express Super Hokuto/Hokuto to Sapporo at Hakodate. This will be your first step on Hokkaido! I show you map and images. You may know how to transfer the trains, Super Hakucho and Super Hokuto. And also I show you about Hakodate station. Continue reading Hakodate station guide. How to change the train, Super Hakucho, Super Hokuto and other local trains. Shin-Aomori station guide. How to change the train, Shinkansen, Super Hakucho and other local trains. Posted on June 23, 2012 April 25, 2016 Categories Tohoku Area, Station informationTags Hakucho, Hamanasu, Hayabusa, Hayate, Hirosaki, Resort Shirakami, Shin Aomori, Super Hakucho, Tohoku Shinkansen, Tsugaru, aomori36 Comments on Shin-Aomori station guide. How to change the train, Shinkansen, Super Hakucho and other local trains. The exterior of Shin-Aomori station. It looks new because this station opened in 2010. Hokkaido Shinkansen was opened in March 26, 2016. You can get Hokkaido by Shinkansen directly without changing trains at Shin-Aomori. I have received some questions about train transfer at Shin-Aomori station. Shin-Aomori is the last station of Tohoku Shinkansen from Tokyo. And this station is the place to change the train to Hokkaido, like Hakodate and Sapporo. Some travellers worry about the transfer. They are not sure how big Shin-Aomori station and how many minutes is a enough to transfer the trains. I show you map and images. I hope this instruction will help you to plan your itinerary. Continue reading Shin-Aomori station guide. How to change the train, Shinkansen, Super Hakucho and other local trains. My trip from Aomori to Sapporo on March 19, 2012 by Hamanasu Carpet car. Posted on March 27, 2012 July 29, 2015 Categories Tips for Japan Rail Pass, Overnight Trains, Express, Sapporo, New Chitose Airport, Hakodate, Shin-Hakodate-Hokuto, Aomori, Shin-Aomori, Hirosaki, 2012 spring trip to Tohoku and HokkaidoTags Aomori machinaka onsen, Carpet, Family mart, Gusto, Sapporo, Tomakomai, aomori30 Comments on My trip from Aomori to Sapporo on March 19, 2012 by Hamanasu Carpet car. In my site, JPRail.com, the post that is written about Overnight Express Hamanasu is very popular. I got on Carpet car of Hamanasu on March 19, 2012 from Aomori to Sapporo. I would like to share this experience with you. And I tell you what I did before I got on the train. Continue reading My trip from Aomori to Sapporo on March 19, 2012 by Hamanasu Carpet car. JR East announced that they will sell Tohoku Ouen Pass (東北応援パス). “Ouen (応援)” means Supporting in Japanense. This pass will be sold for supporting Tohoku region where is seriously damaged by the great earthquake in this past March. This pass motivate tourists go to Tohoku region and spend money there to revitalize economy there. Anybody can buy this pass. If you travel outside from Japan, you can buy Japan Rail Pass or JR East Pass. But if you live in Japan as a student or work permit, you cannot buy these pass for visitors. This pass may be considerable for you. Resort Shirakami (リゾートしらかみ) is a rapid train that is operated between Akita (秋田) and Aomori (青森). This train is named from UNESCO World Heritage site “Shirakami mountains (白神山地)”. This train runs on Gono line (五能線) along the shoreline of Sea of Japan. Gono line is known as one of the most scenic lines. The view is amazing. This train is not an express train but this cruising train offers very comfortable interior. It is operated by specialized train and it does not have any non reserved seat. This train is operated on weekend, holidays and the peak periods only. If you use Japan Rail Pass (JR Pass), JR East Pass, JR-East South Hokkaido Rail Pass, you can take this train with no extra charge. JR East started to operate 2 round trips of Hayabusa after suspension by earthquake. It takes more than 4 hours between Tokyo and Shin-Aomori. Extra 1 hour is spent to get Aomori by Hayabusa. Because there is maximum speed restriction between Omiya and Morioka due to the damage by earthquake. I hope it will be restored with 100% soon. *JR East lifted a speed limit in some area. Now it takes about 3 hours 30 minutes from Tokyo to Shin-Aomori. It is still 20 minutes more than the regular timetable. Tokyo Monorail is included in the pass. As of October 21, 2010, you can use Tokyo monorail that is operated between Haneda airport and Hamamatsucho (浜松町) by Japan Rail Pass. But you cannot exchange the actual pass because there is no Japan Railway station at Haneda airport. That means you cannot take Tokyo Monorail with no extra charge by Japan Rail Pass right after arrival at Haneda airport. If you want to have more informations about access to Haneda, please refer this page. As of December 4, 2010, JAPAN RAIL PASS can be used for Aoimori Railway Line in the limited cases. If you want to take Ominato line at Noheji station, you can use Aoimori Line from Aomori or Hachinohe. But you cannot get off the train in Aoimori Railway line. And also if you use the overnight train, you have to pay the regular fare and surcharge for Aoimori Railway. The reason why Japan Railway change the condition is starting to operate Tohoku Shinkansen between Hachinohe and Shin-Aomori. Before Tohoku Shinkansen was started to operate between Hachinohe and Shin-Aomori, this line was owned by Japan Railway. But after that, this section was transfered to the private company, Aoimori Railway. Ominato line was no longer connected with any Japan Railway lines. Kyushu Shinkasen will be started to operate between Shin-Yatsushiro and Hakata on March 12, 2011. This section will be owned by JR Kyushu after that. I think we will not have any big changes. But Japan Railway did not announce anything about using Japan Rail Pass for Kyushu Shinkansen’ fastest train “Mizuho” and Tohoku Shinkansen’ fastest train “Hayabusa“. I will keep checking and let you know as soon as possible. *Hayabusa except Gran Class can be used by Japan Rail Pass. But Mizuho cannot be used by Japan Rail Pass. Hamanasu was discontinued in mid March, 2016. There is no overnight train service options available to Hokkaido. Limited Express Hakucho connect Honshu island with Hokkaido island. Super Hakucho and Hakucho is no longer running after Hokkaido Shinkansen opened in March, 2016. Now Hokkaido Shinkansen connects Tokyo and Hokkaido directly. Please see the following link to see the details of this Shinkansen line. Aomori station and Limited Express “Hokuto” and “Super Hokuto” to Sapporo at Hakodate. These trains used to connect Hachinohe with Hakodate via Aomori. But Tohoku Shinkansen was extended to Shin-Aomori on December 4, 2010. Departure location had been changed to Shin-Aomori instead of Hachinohe.